Mark released his first 10mFan alto sax mouthpiece called the Showboat which I reviewed a few months ago. Now, Mark has released his second alto saxophone mouthpiece model called the “Daddy-O” after the Cannonball Adderley tune “One for Daddy-O” from the album “Somethin’ Else”. Cannonball Adderley is one of my all time favorite alto players (I just reviewed the Cannonball Adderley Omnibook……. 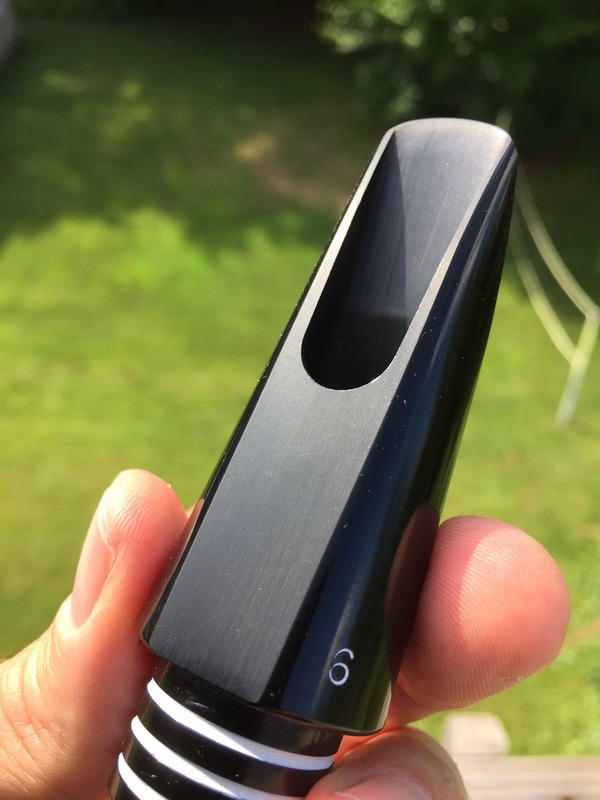 ), so a mouthpiece named after one of Cannonball’s classic tunes is one that I had to try……..
Category 1 Daddy-O: Rich and colorful low end with a clear and well defined mid and high frequency set. 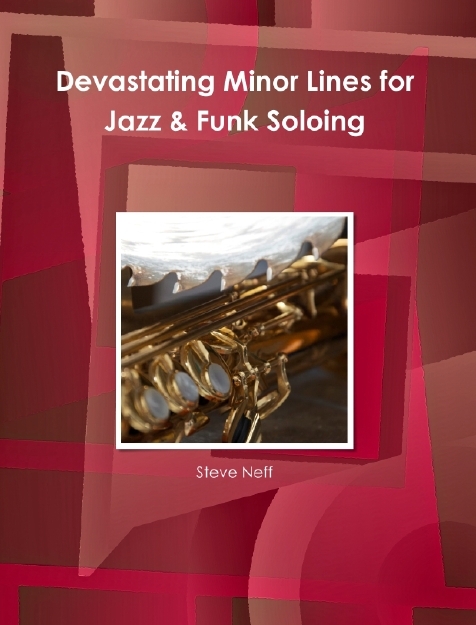 Full, classic, and colorful sounding in the style of Cannonball Adderley. Great lead alto mouthpiece with less brights than the Showboat alto has available. 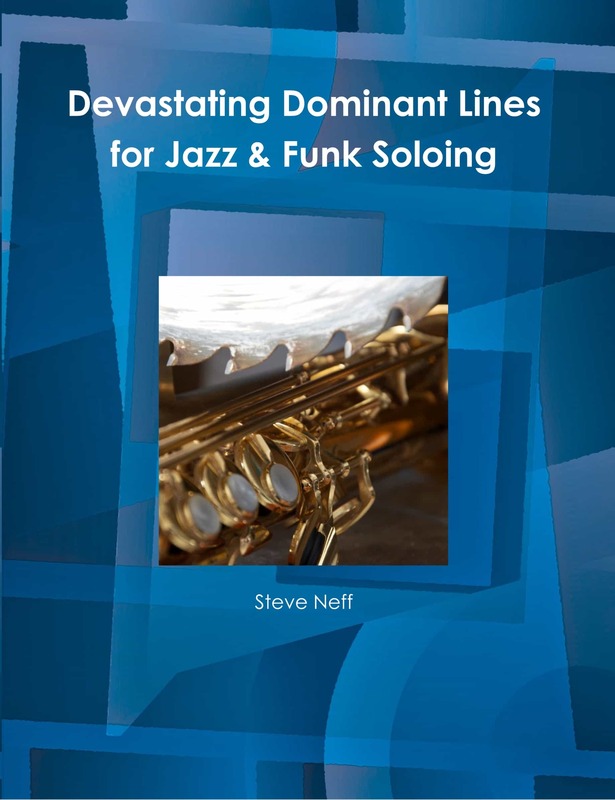 More of a classic alto sound from the big band to the Blue Note era. Built to outplay the classic Meyer Bros medium chamber alto mouthpieces. This is a beautiful mouthpiece that encaptures the classics from Bird to Desmond to Cannonball! 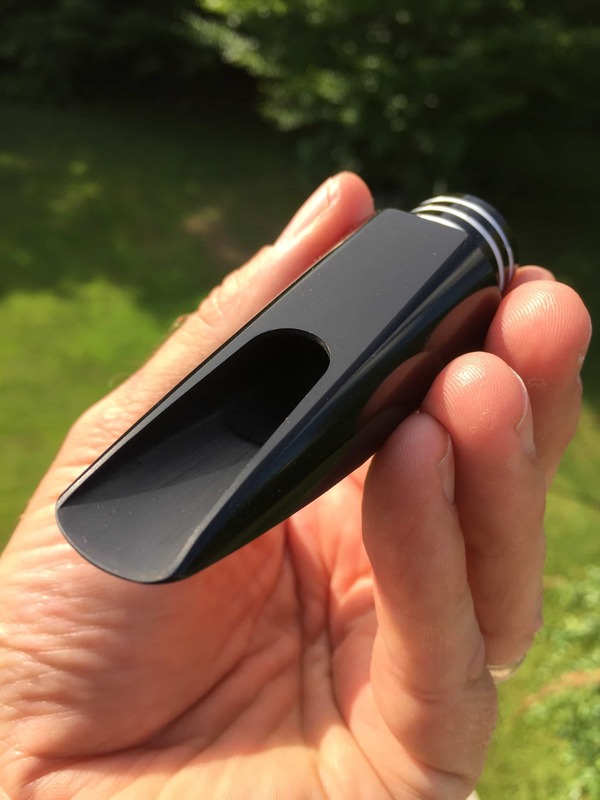 “Daddy-O” alto mouthpiece: Highly versatile alto mouthpiece that produces a sweet, warm, and colorful sound with the power necessary to lead a modern big band section. This has the richest palette of my alto mouthpieces, that makes it the most versatile and classic sounding. This is not a “dark” mouthpiece, as dark or stuffy is not what an alto mouthpiece should sound like to me. It should sing and ring, whether it’s warm or brighter! You can get all the classic alto vibes from this piece, and if you need even more aggressive, go with the Showboat model. Think Bird, Stitt, Hodges, Desmond, Art Pepper, Lou Donaldson, and Cannonball vibes with this Daddy-O, to name a few. An amazing alto mouthpiece with a harmonic richness not found in more traditional designs. 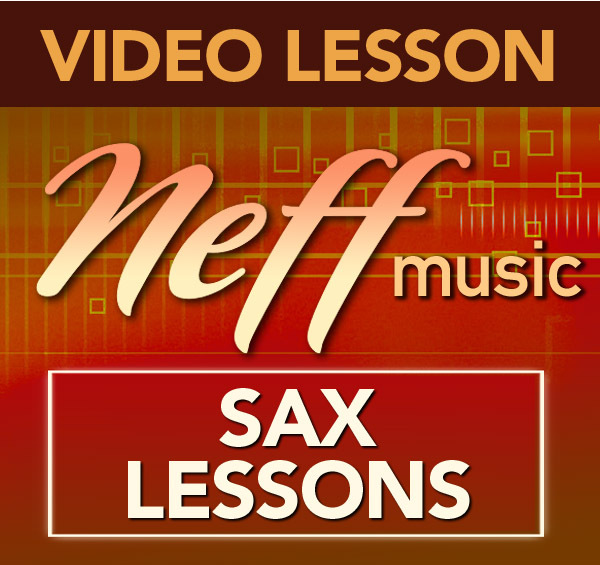 You can play as quiet as you want and as loud as you want and I designed it so it would not be as bright or punchy as the Showboat model can get, but still have killer altissimo and more power available than most straight ahead alto players have experienced. For me, it’s so much more fun and satisfying to play than the vintage Meyer Bros and all the Category 1 vintage mouthpieces. This includes Brilhart, Selmer, Meyer, Otto Link, etc…), while keeping the tradition and classic alto sound associated with those pieces. 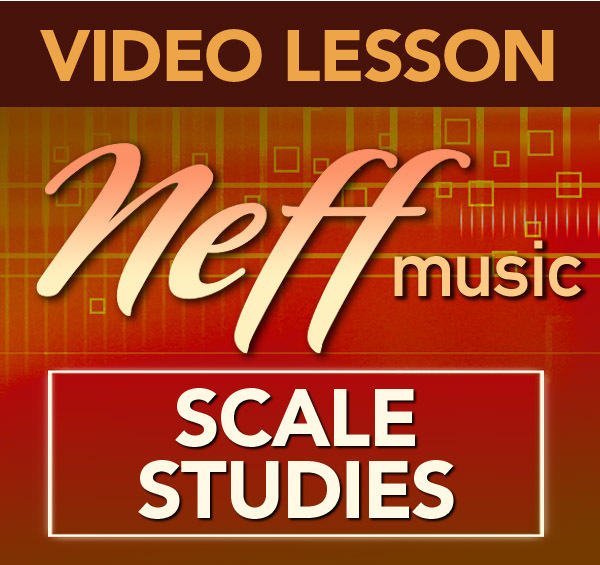 This piece can sing over a big band section or whisper as soft as you can hear. This alto piece has classic facing geometry for the player that digs a classic feeling type of blow, but this has more freedom in it. It has straight side walls, and a very long and lower baffle. There isn’t an alto mouthpiece in existence that looks and plays like this. I am very proud of my designs. Very classic sound here with a classic feel, offering players way more flexibility and versatility than the vintage mouthpieces in this same category. Mark was nice enough to send me a sample 10mFan “Daddy-O” alto sax mouthpiece in a 6 tip opening (.078) for this review. I absolutely loved the Showboat alto mouthpiece with a 6 tip opening that I reviewed previously so I was confident I would really dig the “Daddy-O” in a 6 tip opening also. From above, the 10mFan “Daddy-O” hard rubber saxophone mouthpiece looks the same as the 10mFan hard rubber tenor sax mouthpieces I have already reviewed except that it is smaller. It has the signature three white lines on the shank which I think is a great marketing idea. You can spot these three lines from pretty far away and know what mouthpiece brand a player is using. The Daddy-O has a long low baffle that at a certain point changes to a steeper descent into a medium chamber. This transition point in the baffle is a smooth, slightly curved line that you can see in the pictures. The bottom portion of the baffle has a curved shape to it as it heads down and through the chamber area where it ends at the rear of the chamber. As I look at the baffle under the light, I can see what looks like a slight rollover in the baffle near the tip of the mouthpiece. 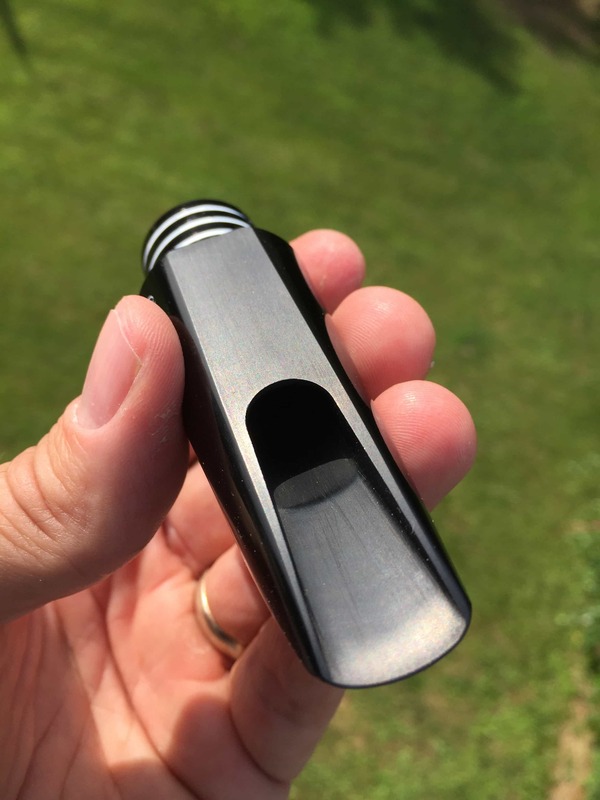 The sidewalls of the mouthpiece are straight as they head from the tip to the chamber but once they enter the chamber area they are scooped out to give the chamber it’s round shape. When comparing the Daddy-O side by side with the Showboat, the Daddy-O has a lower baffle that is a bit longer before it transitions to the slope at the beginning of the chamber. The beak height is absolutely perfect for me. The mouthpiece feels very comfortable to play just like the Showboat alto mouthpiece was for me. 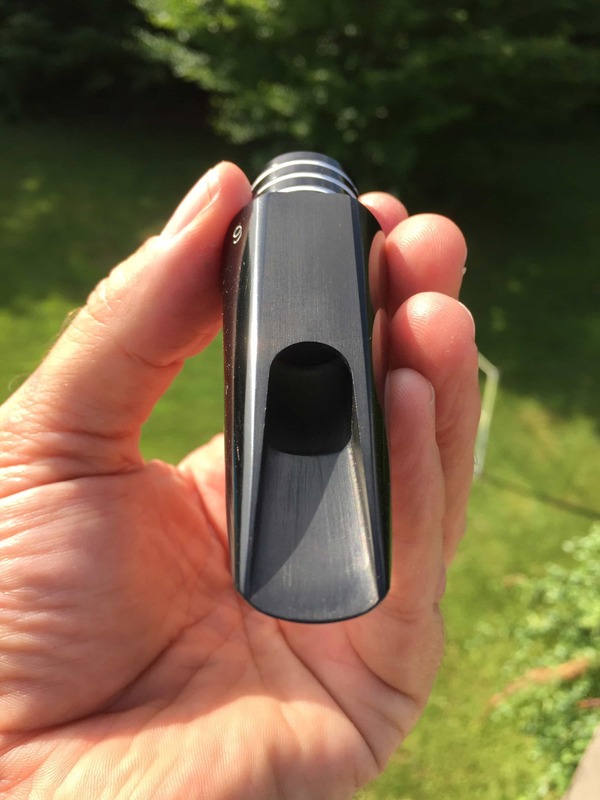 I have been impressed with Mark Sepinuck’s originality in regards to his mouthpiece designs as I have stated in my other reviews. He doesn’t seem to start with a design and then see if he likes it, he starts with a sound concept in his head and then tries to find the design that can produce that sound he imagines in his mind. In my view, he approaches making mouthpieces much the same as a musician approaches improvising. They have to imagine the sound and line and then create what they imagine. 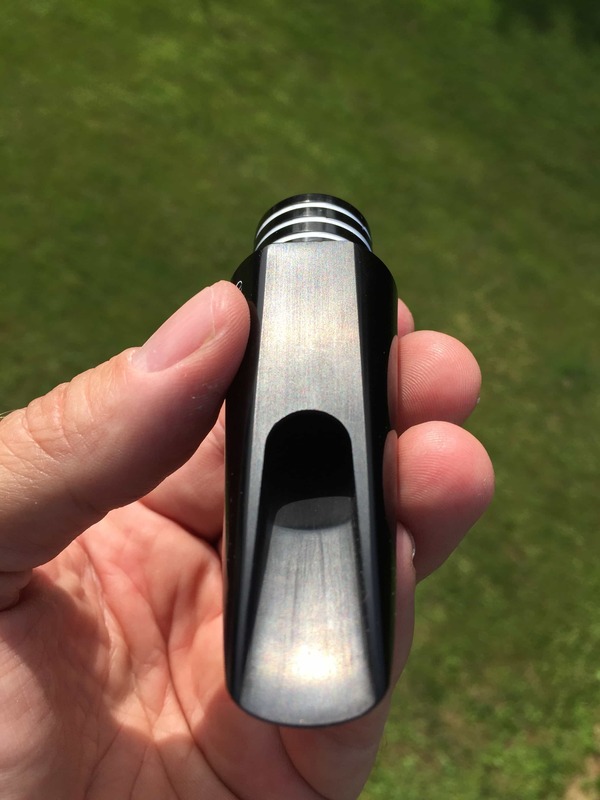 Mark says that his goal with the Daddy-O was to make a mouthpiece that would outplay the classic Meyer Brothers medium chamber mouthpieces of the past. 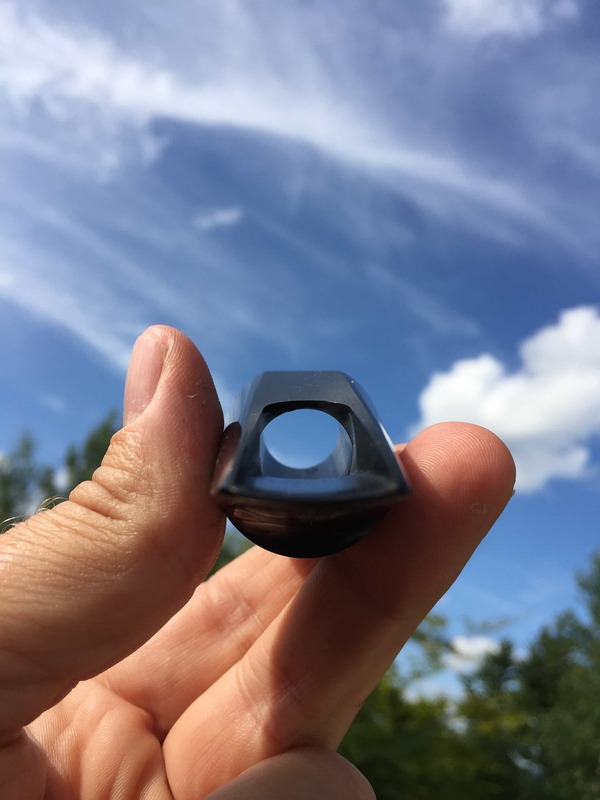 Most other mouthpiece craftsman would just copy a NY Meyer or Meyer Bros mouthpiece and say here you go……Mark instead says “let’s figure out something new and fresh that delivers what I am hearing and imagining”. I just think this is totally cool! I know at this point, many of you want to know if it really does outplay those vintage Meyer alto mouthpieces we have all heard so much about. I’ll leave that answer to the players out there that currently play vintage Meyers and are able to try the Daddy-O side by side. They are more knowledgeable about the differences than I am as I don’t own a vintage Meyer mouthpiece at this time. I will say that I did try a vintage Meyer mouthpiece many years ago that Bob Ackerman was selling and when I first played the Daddy-O I was immediately reminded of playing that Meyer in that music store all those years ago. The similarity to me was the richness and character of the tone. The Meyer had a certain richness to the notes and the high notes had a sparkle and sizzle to them. When I first tried the Daddy-O with a Woodstone 3 1/2 reed I heard that same richness and sparkle in the tone that excitedly reminded me of that vintage Meyer I tried so many years ago. That being said, I also didn’t buy that vintage Meyer from Bob Ackerman because it didn’t have the power and volume I was looking for at the time. I believe that mouthpiece was a 4 or 5 tip opening. The Daddy-O 6 alto mouthpiece doesn’t have that problem that is for sure. The 10mFan “Daddy-O” was incredibly reed friendly for me. I put on a Rigotti Gold 3 Light reed and it played about as perfectly as I could hope for. Many times, I have to adjust or get used to a mouthpiece, but playing the Daddy-O for the first time felt like I was already at home with it. I decided to experiment with some other reeds so I tried a Rigotti Gold 2 1/2 Strong reed, Woodstone 3, Woodstone 3 1/2, a Gonzalez 2 1/2 and a few Marca reeds I had in my drawer. All these reeds played well on the Daddy-O. I felt like the Rigotti gave me the brightest tone. The Woodstone gave me the second brightest tone. The Gonzalez and Marca reeds were definitely darker for me. I chose to record with the Woodstone 3 reed as I liked the brightness of it but the Woodstone 3 1/2 played just as easily for me. The sound clip I have included at the bottom of the review is a bit longer than my usual 3 minute clip but I thought there were some cool variations and sounds in the clip that I wanted to include so you could get a good idea of what the mouthpiece can do and how it sounds for me. The 10mFan Daddy-O alto mouthpiece is a bit warmer than the Showboat alto mouthpiece in my opinion. Although it might have a bit less brightness in the tone than the Showboat I feel like perhaps it is a bit richer sounding to my ears. It’s almost like there are more harmonics and overtones in the sound that make it more rich sounding. It is not a “dark” mouthpiece by any means. 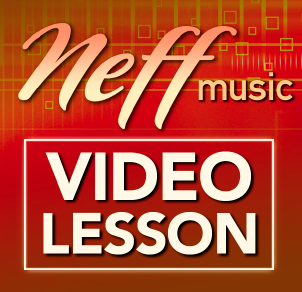 I found that it could be played with a warmer more bop sound or more aggressively with a brighter bop sound. I could also imagine laying back and going for a cool Paul Desmond kind of approach on it with a slightly harder reed. I can certainly imagine a Cannonball type sound with this mouthpiece also as it can take all the air you can give it for a big fat powerful sound if you want. The complexity of the tone and richness of the sound make me feel like there is a lot to discover with the Daddy-O. It seemed like every different reed strength and different reed brand totally changed up the sonic timbre that I was hearing when I played. It was confusing for me to figure out which sound and reed I liked the most although in the end I went with the Woodstone 3 like I wrote above. Mark has really surprised me with these two new alto saxophone mouthpiece models. I have tried so many alto mouthpieces over the years and I guess I was kind of at a point where I thought there was nothing new under the sun. As far as alto mouthpieces, you had the Meyer design and then pieces with baffles in them that were usually very different than the Meyer sound and concept. 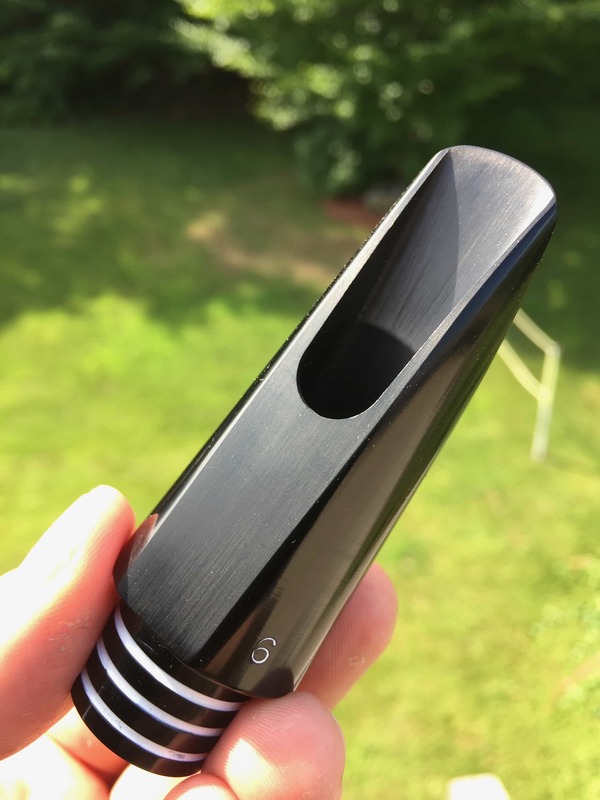 With the Showboat and Daddy-O, Mark has come up with designs that somehow give you everything you love about the Meyer sound and concept but with all the pluses that go along with a baffled mouthpiece. In my mind the Daddy-O has a sound that I would swear was a Meyer if I was just listening to it yet it has the extra boost of power and and clarity when needed that comes from that little bit of baffle in the design which is very cool! In my opinion, the 10mFan “Daddy-O” is a great alto mouthpiece for those of you looking for a sax mouthpiece that does it all. I know I said that about the 10mFan Showboat also so you might be confused about which one to get. Both pieces straddle the line between a classic alto sound ala Phil Woods and Cannonball Adderley but both give you more power and brightness in the sound to really pop and cut through when needed. 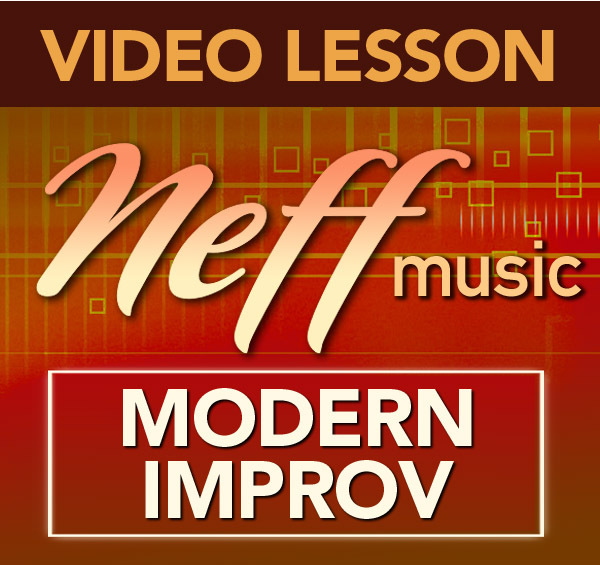 The Daddy-O is for those of you that might want to lean towards the more traditional sound. You might not want to be too bright but more in the middle of the dark to bright spectrum. The Showboat would be for those of you who might like to live in that brighter spectrum with a bit more power. 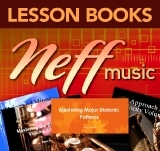 It’s really hard to guide you towards either one because either mouthpiece can handle multiple genres and styles depending on how the player plays them. I think Mark Sepinuck and Eric Falcon at 10mFan did a great job with the Daddy-O alto saxophone mouthpiece. Mark is great with his descriptions of his mouthpieces and I feel like he has come out with another “gem” of a mouthpiece. Well done guys! If you are interested in the Daddy-O alto saxophone mouthpiece you can find out more information at 10mFan.com. Mark is a great guy and he can answer any questions you might have about his mouthpieces. Oh, yes! That’s the sound I have been looking for. Thanks for the review, Steve. Great sound on your demo. Steve – I liked your review and sound clip so much that I spoke to Mark today about ordering a “Daddy-O” 6! Thank you, Steve for this wonderful review! I really appreciate all of the time and effort you put into these incredible undertakings. Your personal feelings, the descriptions, the pictures, the audios, etc. I’m honored that you love both of my recently released alto mouthpieces so much. I feel strongly that players deserve a break from all these mouthpiece makers just making vintage copy mouthpieces out there. Players really deserve new fresh ORIGINAL designs that offer NEW options. The original big 6 mouthpiece makers offered players something fresh and original that was different from one another. I feel very strongly about carrying on that tradition!!! 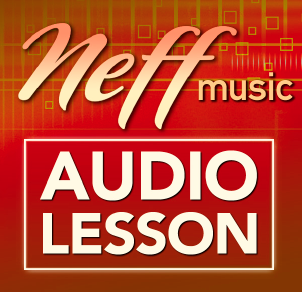 Otto Link, Selmer, Berg, Meyer Bros, Brilhart, and Dukoff, each offered players a different sound and feel, which is crucial for the player to be able to dial in what it is they want. As an example, Sanborn kills on his Dukoff metals, and Desmond killed on his MC GREGORY mouthpieces. Can you imagine Sanborn on the Gregory and Desmond on the Dukoff super power chamber? …..It would be a train wreck. Both of those wonderful players picked mouthpieces that helped them achieve the sounds and experience that they each wanted. From the feel in the mouth, to the articulation, to the overall sound, etc. When you have these options, magic can happen. Without people being willing to go after originality, this world would be a very dull and uninteresting place. I offer many different mouthpieces to help people achieve what they are looking for, and ALL are original designs. I offer many audios and videos on the website of the different mouthpieces and more new ones will always be coming in. It just helps the players get to hear what these pieces can do. I don’t pay anyone to play on my mouthpieces and I refuse to have endorsers. If people want to be fooled—they can, but it won’t be from me. I have had many heavyweight players approach me and tell me how much they love my mouthpieces and that they want to have their own model and that we should work out a business deal. I don’t want people being fooled for any reason. 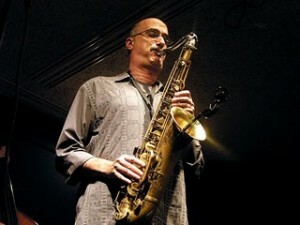 Thank you for all you do for the saxophone community, Steve. You are an ORIGINAL and I respect that! Is it possible to make 2 short recordings of a ballad – 1 Showboat and 1 Daddy-O where you play exact same notes (covering most of the range of the horn) with each mouthpiece (melody and few simple embellishments). That way one could pause and switch back and forth to here the same phrase played on the 2 mouthpieces. You pick the reed and ligature for each mouthpiece that you feel optimizes your sound on each. Even though reed and ligature could be different, you would be producing the sound you feel most comfortable with on each mpc. Now, you will need to put BOTH of these mouthpieces in the case! When you get to the gig, you can choose which piece to use based on the acoustic response of the room! Did you have time to play the Showboat and the Daddy-O to decide which one you prefer? They both seem to be great mouthpieces. It’s hard to make a decision! Hope you’ll get better soon. Hi Steve. I was just wondering what ligature you use with the Daddy-O. My Vandoren Optimum doesn’t fit it well. I can get it on but it’s very tight. Hi Steve, a while ago I bought this mouthpiece from a friend of mine. The thing was that I did not have a playing alto at hand. So first I had to overhaul a Buescher Aristocrat 400, Type 41 to play with the Daddy-o. It is all you have described and more. What a piece that is. It has the 1950 alto sound as soon you put the mouthpiece on your horn. Ok, it matters which brand of saxophone you have. Selmer would sound more edged . But this Buescher is also a killer. With the Daddy-o it can whisper and scream. I love it and this one will stay on my alto for a long time. Thanks for the review Steve. That review was the trigger for me. And Mark thanks for making such great mouthpieces. I’ve bought one and a half year ago the Robusto 9* metal for tenor. A killer too. That Dexter Gordon sound is really happening. I think a 8* would suit me better.